Philippines President Rodrigo Duterte said the country was “ready and willing to steer and guide the association”. In a meeting of “ASEAN Plus Three”, ASEAN members Brunei, Cambodia, Indonesia, Laos, Malaysia, Myanmar, Philippines, Singapore, Thailand, Vietnam also met with leaders from China Japan and South Korea. China has vowed to form a closer community of shared future with Southeast Asian nations while commemorating the 25th anniversary of their dialogue relationship. “If we say the past 25 years were a period of growth for the China-ASEAN relations, the upcoming 25 years will be a period of maturity, facing new opportunities as well as new challenges,” Chinese Premier Li Keqiang said. China, which established a dialogue relationship with ASEAN in 1991, was the first to ink the Treaty of Amity and Cooperation in Southeast Asia, and the first to become ASEAN’s strategic partner. 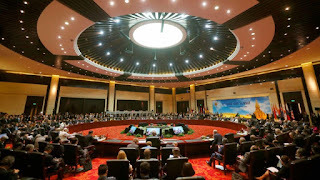 In addition, China was the first country to voice support for the protocol of the treaty of Southeast Asia nuclear weapon free zone, while being the first to start free trade area negotiations with ASEAN. “All these showcase China’s steady resolution to develop relations with ASEAN” and “the two sides’ strong will of cooperation and their vision to lead regional cooperation,” Li said. On the issue of financial security cooperation, Li said that countries should learn a lesson from financial crises. He also said that China supports ASEAN’s leading role in negotiations on the Regional Comprehensive Economic Partnership (RCEP) and hopes negotiations could be accelerated to promote free trade and trade facilitation. Li also said Asia’s prosperity and development cannot do without regional peace and stability and called on countries to cherish the current “generally stable” security situation in Asia. He said China advocates common, comprehensive, cooperative and sustainable Asian security, proposing to construct a security framework that benefits all sides so as to reduce repulsion, avoid confrontation and properly handle various sensitive issues to open a way of safe development that conforms to regional reality. 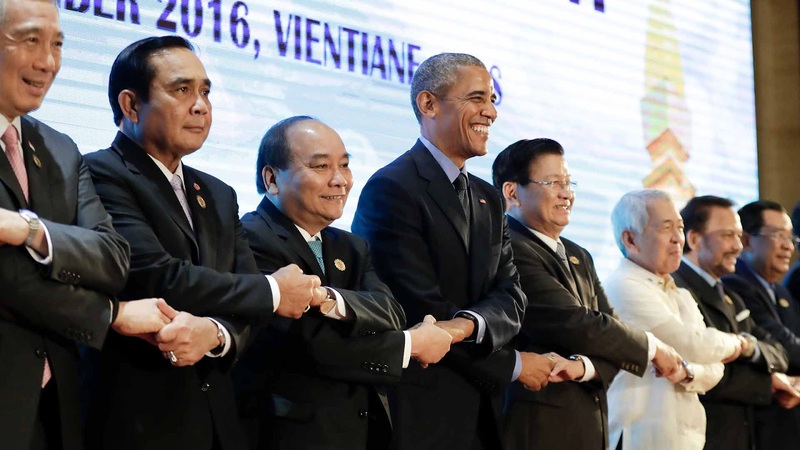 A diplomatic spat between the Philippine leader and U.S. President Barack Obama hung over part of the ASEAN meetings, after Duterte used foul language in relation to a planned meeting between them. 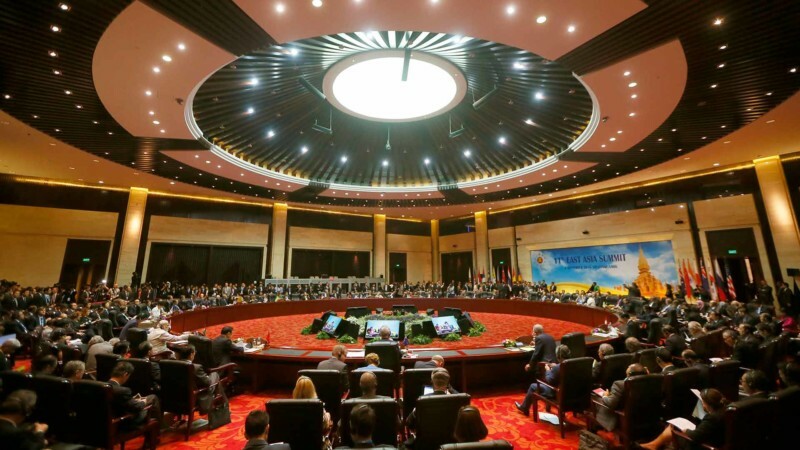 As part of the ASEAN Summit, the East Asia Summit also convened which includes ASEAN Plus Three and representatives from Australia, India, New Zealand, Russia, and the United States. In his final news conference in Laos on Thursday, Obama was asked about the U.S. military prison at Guantanamo Bay, which has still not closed despite the U.S. president stating that he would do so when he was first elected in 2008. Obama said a shrinking the population of the camp is priority and that the existence of Guantanamo Bay is “a recruitment tool for terrorist organizations”. Obama was also asked about U.S. military actions in Laos during the Vietnam War. He replied that the dropping of cluster bombs was hardly an effective method of winning over hearts and minds in the country. On his last day Obama also visited a century-old Buddhist temple in Laos, talked to youngsters and attended the 11th East Asia Summit in the capital, Vientiane. Story by Xinhua, CCTV News, and the Associated Press. Can Laos Create a Startup Economy?